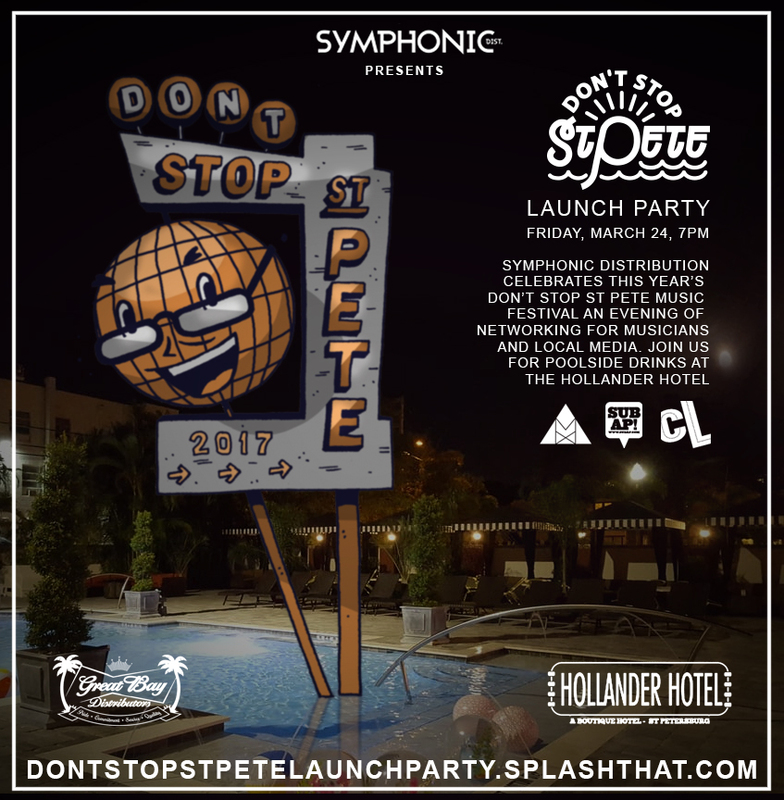 Come celebrate the Don’t Stop St Pete Launch Party! Come one, come all, bring a guest, and hang loose. It's going to be a great start to this fun weekend! Listen to Blestian. Husband and wife pop duo playing Don't Stop for the first time this year! Ever wonder what it's like working on a festival production team? Well here is your chance! Sign up and be part of a hardworking fun team. Someday River is an experimental folk rock project and art platform created by Greyson Charnock in Spring of 2015. Incorporating sweeping drum patterns andfunk bass over songs rooted in folk, the band crystallizes into their full sound. Their debut EP 'Sleeping Sideways' was released in May of 2016. Matthew Reisinger, known by his stage name FR33DBACK, is an electronic musician, sound designer, and composer from Tampa, Florida. Sharing the stage with some of the best in downtempo electronic music, including Chrome Sparks and Rhye, FR33DBACK can be found performing intensely layered Synthwave tunes amidst a myriad of buttons, knobs, and switches; resembling a “young” Dr. Frankenstein as he creates life by harnessing the power of electricity. Luxury Mane emerged from the remains of Summers' previous group, The Semis, one of Tampa’s most influential, genre shrugging and self-destructive outfits. Summer and drummer Lovell have spent the last five years coming to their senses while writing, creating and recording at their home base studio, Hey! We Put Some Foam Up. Lolling in the St Pete sunshine has proved inspirational for this prolific group who have produced three LP’s and one cassette since their inception including 2013’s Natural Beauty, 2014’s Gold Standard, the 2015 cassette, Isn't This Great? ( Wiener Records ), and the 2016 release, Lux Runnin Out. Luxury Mane are also fond of swimming, dressing proper, and eating fine food. The are available for consultation on these matters and some others.